Anatolia, the Asian portion of Turkey, is the birthplace of many historic figures and legends, such as the poet Homer, King Midas, Herodotus (the father of history) and St. Paul the Apostle. The highlights of Turkey. 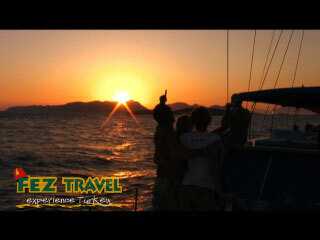 Istanbul, Olympos, Hot air ballooning in Cappadocia, Gallipoli, Gulet sailing on the Mediterranean. All these and many more available on most of our tours. 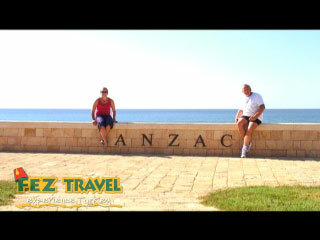 ANZAC Day at Gallipoli, Dawn service at ANZAC Commemorative site. Kylie explores the sights and sounds of the Istanbul visiting such places as the Blue Mosque, St. Sophia, the famous Turkish Baths, Grand Bazaar and the delights of the Spice Bazaar! 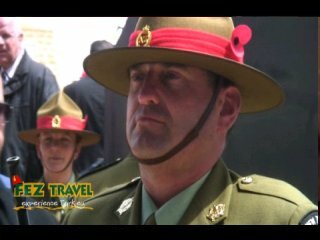 Kylie takes a pilgrimage to Gallipoli to tour the battlefields where the ANZACs fought with the British against the Turkish in World War 1, better known as the "Gentleman's War". Kylie visits the ancient ruins of Pergamum (3rd to 2nd Century BC). The Ancient rulers believed mainly in the Arts and Sciences. 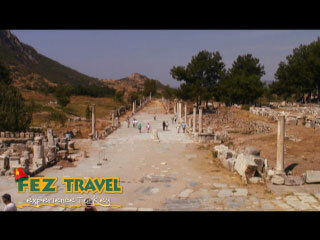 Kylie comes across all cultural again, and the emphasis this time is on ancient Ephesus! Kylie points out, there are only a few things worth waking up at the crack of dawn for and hot-air ballooning as to be at the top of the list! If there is one thing to do in Turkey (as Kylie experiences) it has to be hot-air ballooning over the moonscapes of Cappadocia! 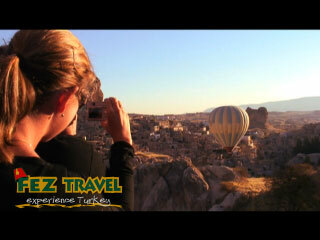 Kylie reflects on the awesome experience of hot-air ballooning over the moonscapes of Cappadocia. After a 10 hour bus journey, Kylie is greeted at the early hours of the morning by the beautiful moonscape of Cappadocia. 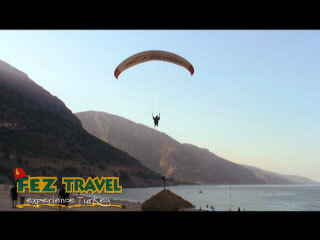 Kylie gets up at 6.30am in order to try the exhilarating sport of paragliding as well as taking in the spectacular views of the Turkish coastline! Kylie shows the real advantage of sailing on a Gulet around the Med - Swimming, sun baking, playing Backgammon and forever eating...paradise found! Kylie explores the flames of Chimera at night and by day, discovers yet another beautiful beach at Olympos. 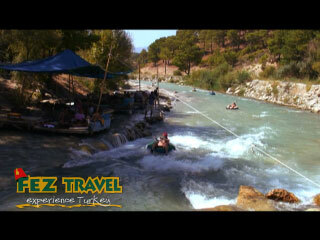 From tubing to mud baths to soaking up the tranquillity of Turkey, Kylie experiences a wide range of Turkish delights! Kylie takes a relaxing swim in the Mediterranean Sea at the Turkish location of Milas. 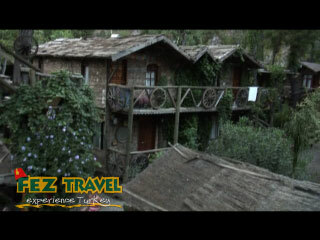 Kylie explores the old famous Treehouses at Kadirs, Olympos in Turkey. 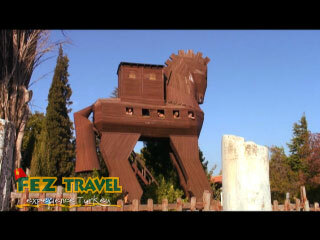 Kylie gets the imagination cranking whilst roaming around ancient Troy. 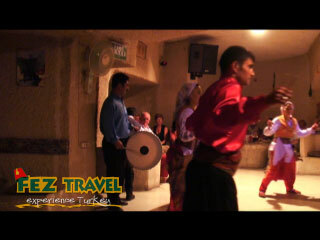 Kylie experiences a tradition Turkish night in Cappadocia whilst giving a local belly dancer a run for her money! 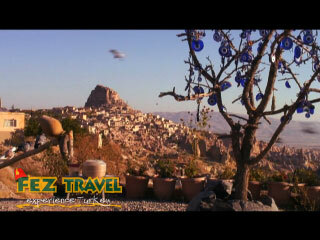 Kylie samples some local Turkish wine and meet the guy who designed some of Brad Pitt"s jewellery for the movie "Troy". 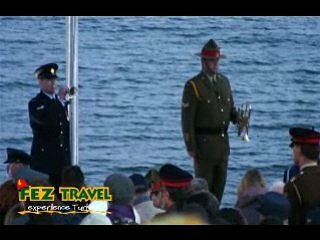 ANZAC Day at Gallipoli - Australian involvement at ANZAC Cove and Lone Pine Memorial. 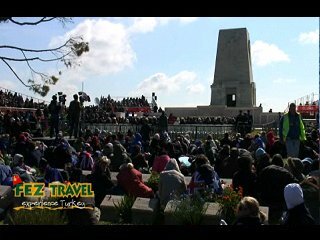 ANZAC Day at Gallipoli - New Zealand involvement at ANZAC Cove and Chunuk Bair Memorial. ANZAC Day at Gallipoli - Turkish Involvement at ANZAC Cove and the Turkish 57th Regiment Memorial.